Hue Jackson Fired as Head Coach of Cleveland Browns, Who’s Next on Coaching Hot Seat? News » Rumors » Hue Jackson Fired as Head Coach of Cleveland Browns, Who’s Next on NFL Coaching Hot Seat? 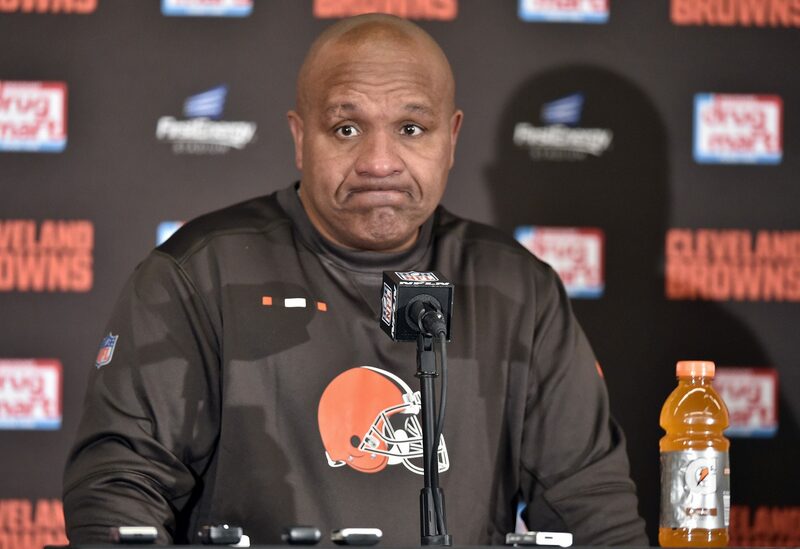 Hue Jackson Fired as Head Coach of Cleveland Browns, Who’s Next on NFL Coaching Hot Seat? After years of losing and misery, the Cleveland Browns have fired head coach Hue Jackson this morning. 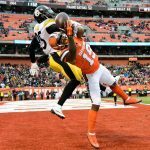 The move comes less than 24 hours after the Browns were beaten 33-18 by the Pittsburgh Steelers on Sunday, the latest in a long line of losses which defined Jackson’s tenure as coach. 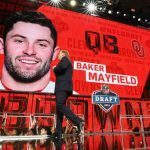 Reports indicate that many players, including star rookie quarterback Baker Mayfield, who was taken first overall in the NFL Draft, aren’t shedding any tears over Jackson’s dismissal. Another player reportedly compared him to Michael Scott, the blundering fictional boss from the TV show, The Office. The move will come as little surprise to most, as Jackson was the betting favorite to be the first coach fired this year at +275 odds. With the favorite already fallen just halfway through the season, the question is – who will be the next coach to get the axe? Expectations are notoriously high in the NFL, and patience is always short, so it’s a good bet that another coach will pay the price soon. Here are the new betting favorites, according to Betonline.ag. The next-longest odds belong to Raiders head coach John Gruden at +2500. However, despite an ugly 1-6 record, Gruden’s 10-year, $160 million contract will likely keep him safe for now. After a losing stretch the likes of which has rarely been seen in the NFL, many are wondering what took so long for the Browns to pull the plug. 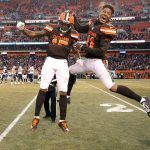 Jackson went 3-36-1 in his two-plus years in Cleveland, including a winless record last year, marking just the second time in NFL history that a team has gone 0-16. The year before that, he went 1-16. Add in his time as Raiders head coach, and Jackson’s 11-44-1 record gives him a .205 win percentage, the second-worst coaching record of all time. 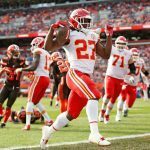 ““We understand how critical this time period is in the development of our football team, and believed it was in the organization’s best interest to make the move at this time,” owner Jimmy Haslam said in a statement. Offensive coordinator Todd Haley was also shown the door, and the team has announced that defensive coordinator Gregg Williams will take over is the interim head coach for the 2-5-1 Browns. If you’re of the mind that Williams can turn the team around, you’ll get some huge odds. Cleveland is currently listed at +15,000 to win the Super Bowl at Bodog, while 5 Dimes currently lists their chances at +60,000.